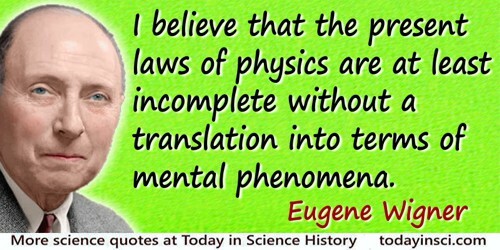 Hungarian-American physicist who received a share of the 1963 Nobel Prize for Physics for his contributions to quantum mechanics. 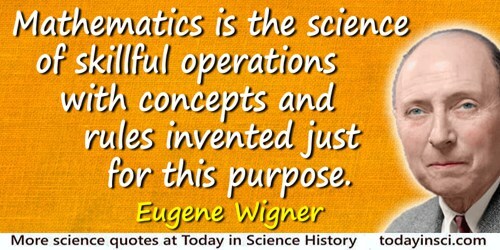 Mathematics is the science of skillful operations with concepts and rules invented just for this purpose. Physics does not endeavour to explain nature. 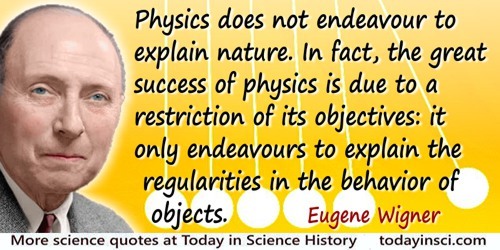 In fact, the great success of physics is due to a restriction of its objectives: it only endeavours to explain the regularities in the behavior of objects. 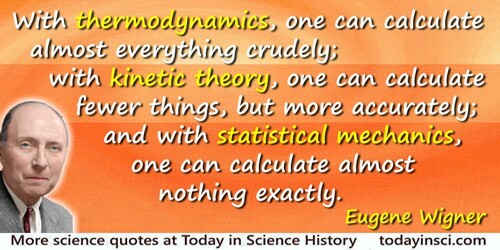 In 'Events, Laws of Nature, and Invariance Principles', Nobel Lecture (12 Dec 1963). 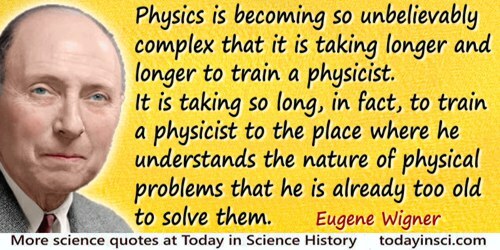 in Nobel Lectures: Physics 1963-1970 (1972), 6. 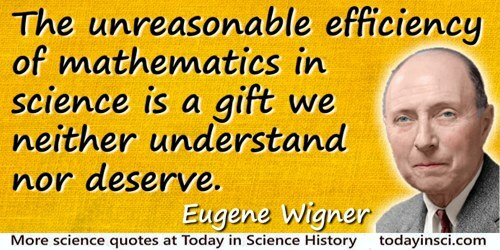 The unreasonable efficiency of mathematics in science is a gift we neither understand nor deserve. 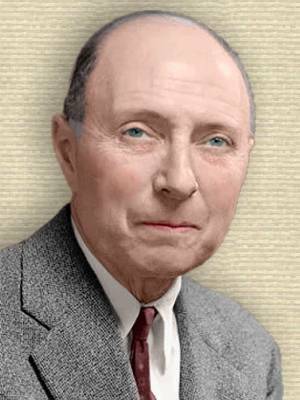 17 Nov - short biography, births, deaths and events on date of Wigner's birth.